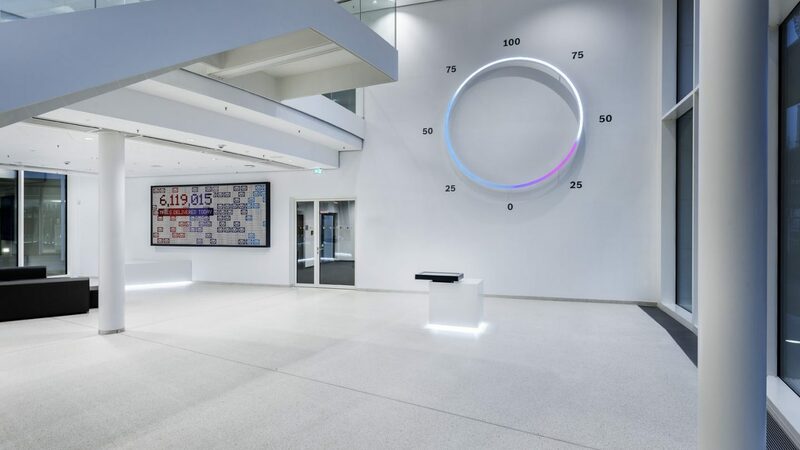 The design of the foyer of the new IT Campus is a symbol for the connected future: digital transformation and connectivity at Bosch were translated into a grand spatial and communicative gesture. 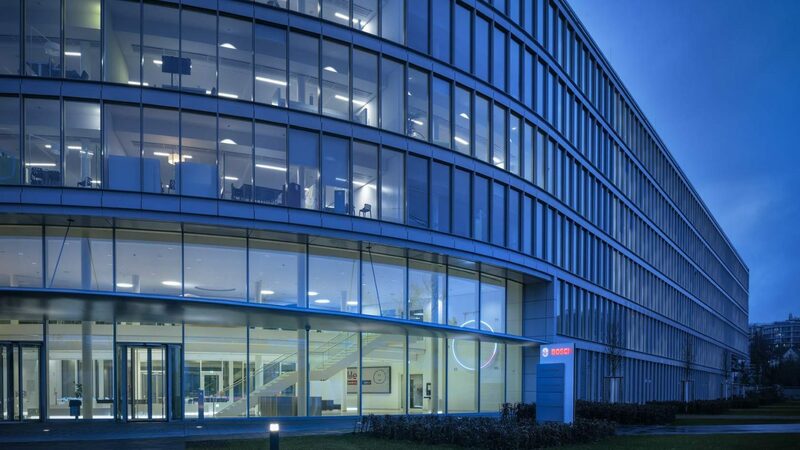 The new Bosch IT Campus in Stuttgart is the central contact point for all Bosch business units to exploit the potential of digitilization. 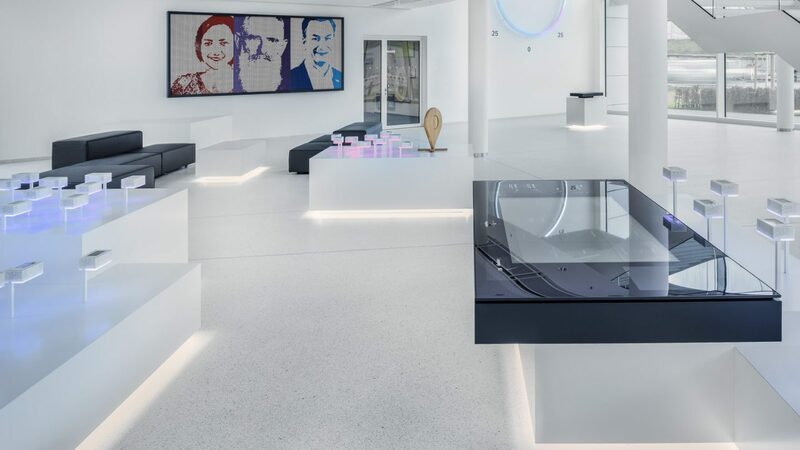 The key motive of the foyer is digital connectivity: Its mutual penetration and superimposition is transferred and further dynamized in the three-dimensional space. 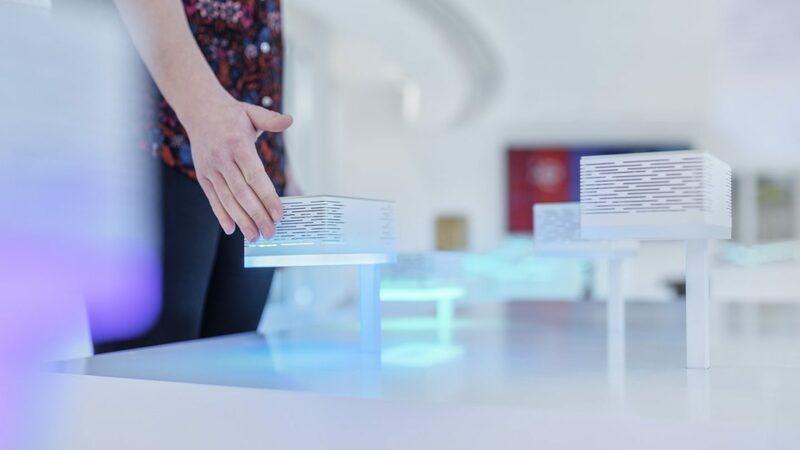 Several overlying, interlocking blocks are distributed as a walk-in sculpture unfolding into an interactive knowledge landscape that adapts itself to the design and presentation of the flowing movement and form of the building's architecture. 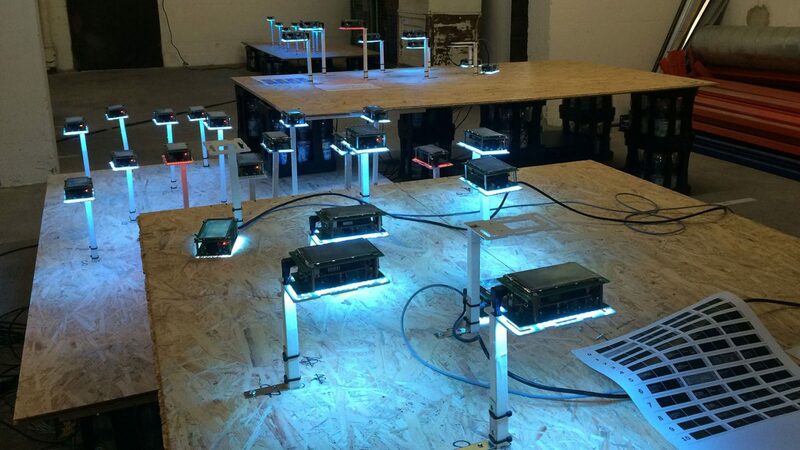 128 interactive, connected Info-Bots form a stream of media infotainment. 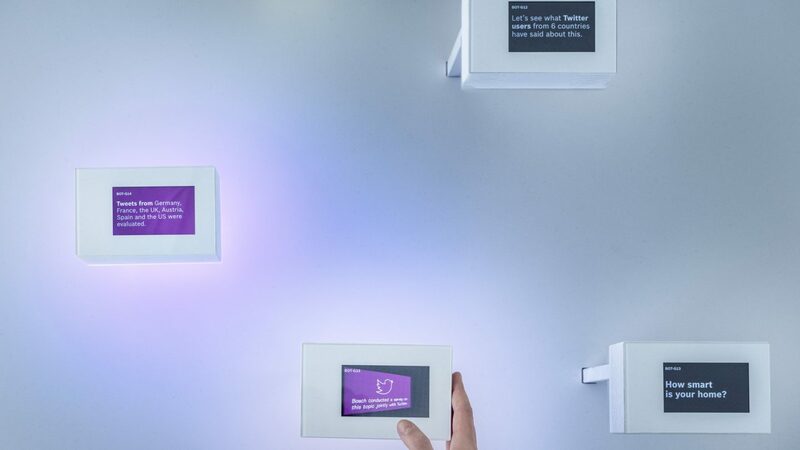 By following the Bot´s emanating lights, visitors are drawn into the data stream which provides them with information in amusing messenger conversations via brief texts, smart visuals and emoticons. 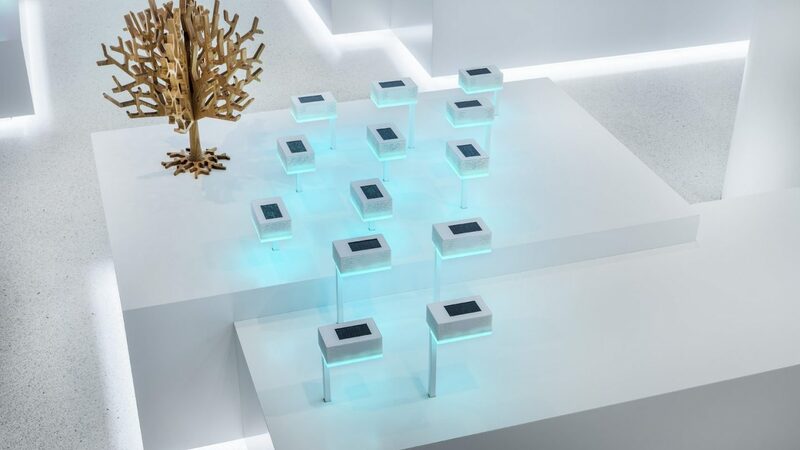 The mini-computers, so-called Bots, are networked with each other and indicate via light impulses to the visitors which Bot will tell the next part of the story. Internal and external guests can let themselves be driven by the various topics and discover innovative, digital solutions from the business areas at the individual knowledge islands. 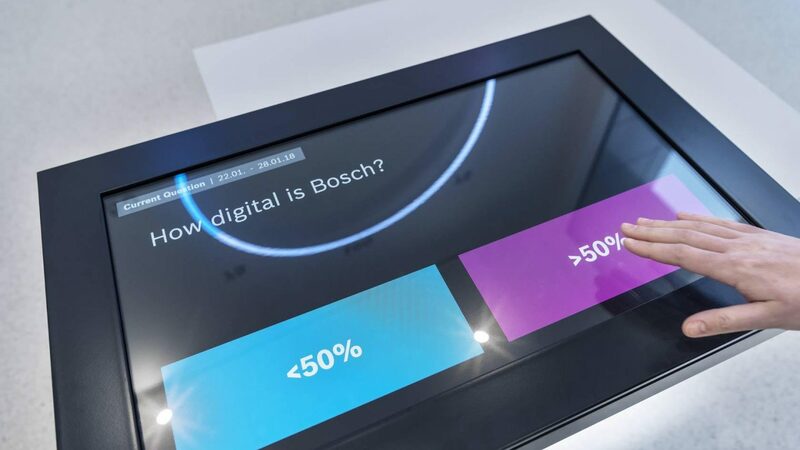 Wooden objects and exhibits mark the topics of these business areas, contrasting the digital installation with their warm, organic appearance - because Bosch is always "Invented for Life". The exhibition also makes the stream of bits & bytes audible with a spatial sound installation from 128 sound sources. 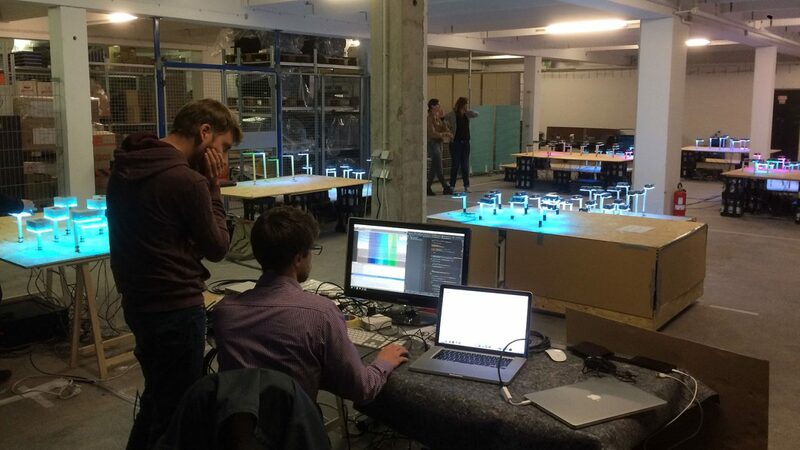 A constant click fills the room and simulates the data processing – creating a space-defining sound installation. Detailed information for customers, employees and applicants is also provided by the Digital Knowledge Magazine on the large media table. The central element is the modular image film: It guides the visitors – precisely tuned to their time budget and interest – intelligently to relevant content. 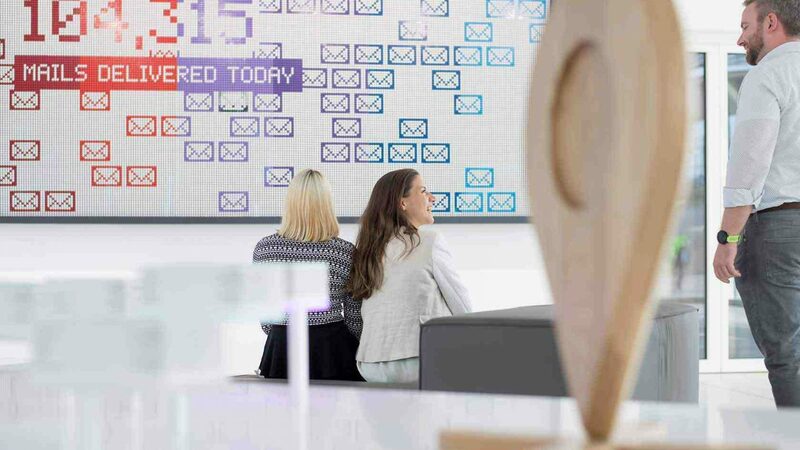 The large Flip Dot Wall welcomes visitors in a simple yet surprising way. 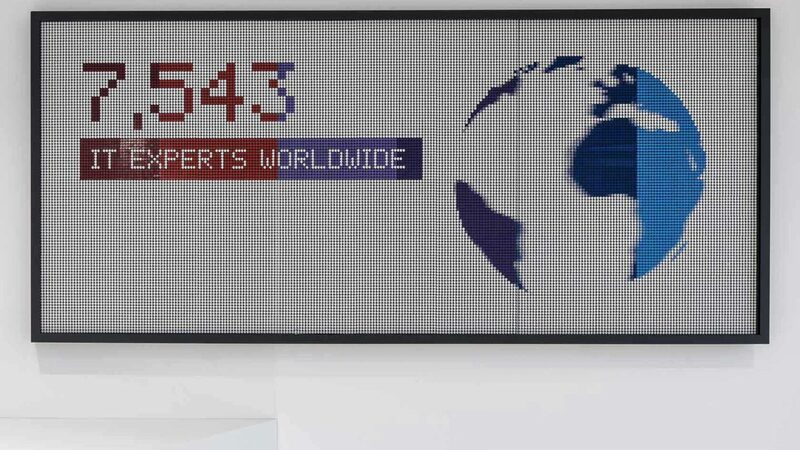 The computer-controlled panel shows employee portraits in corporate colors, provides a striking presentation of the tasks of Bosch IT, and presents the location with up-to-date facts and figures. 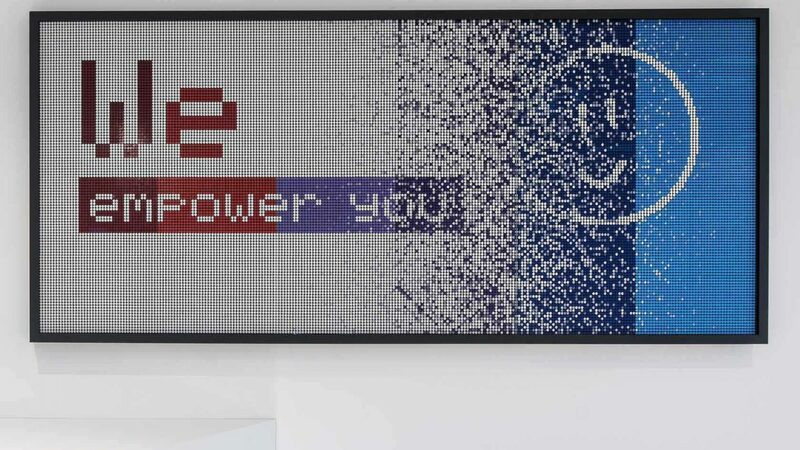 These colorful, entertaining messages from the binary, magnetically controlled platelets form an enjoyable start and contribute to the attractiveness of the waiting lounge of the publicly accessible foyer. 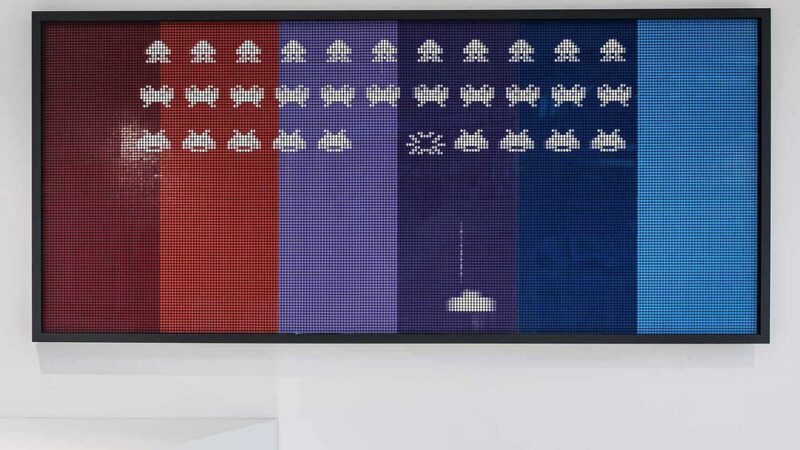 The occasional game of Space Invaders or Pong played on the wall conveys the message: working in IT can be fun! The circular wall installation is an opinion barometer for the campus employees. 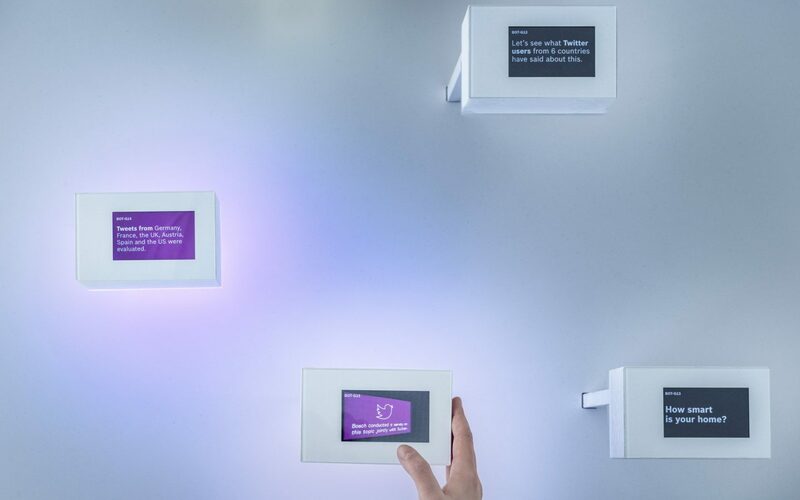 The innovative voting tool illustrates their opinions on a wide variety of topics, from technical and strategic issues to favorite dishes in the canteen. The questions are updated every week and displayed on a screen. 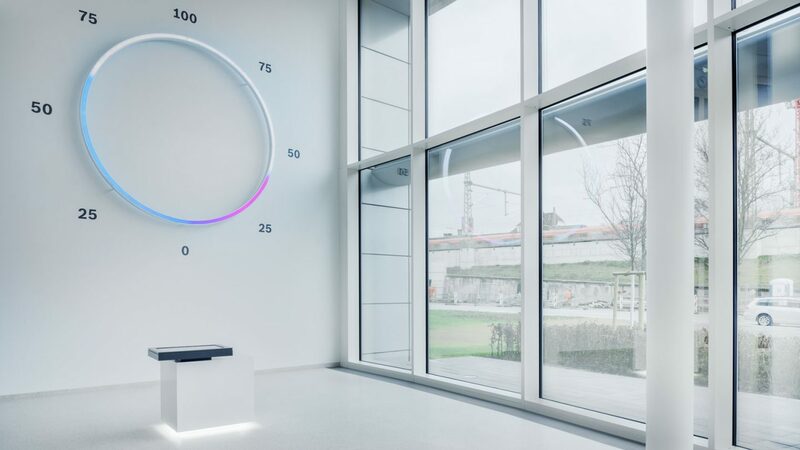 The wall-sized Opinion Circle visualizes the answers, which translate into a color code that makes the tool glow in different colors. 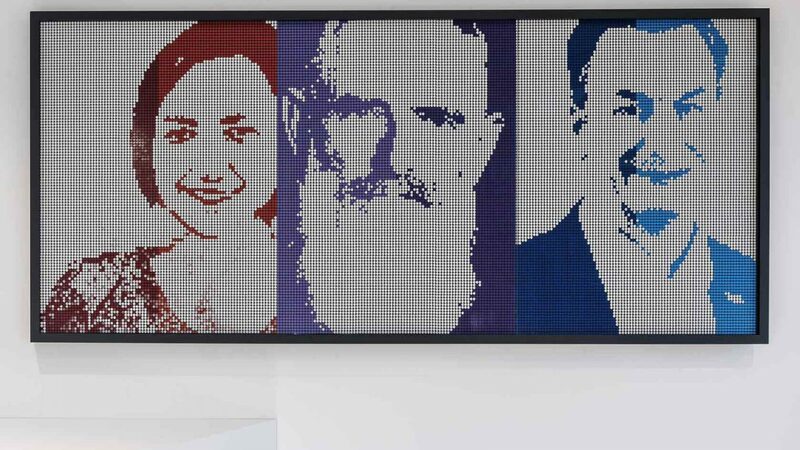 With their vote on the display, employees bring the wall-sized opinion circle into motion until it resettles to the newly calculated voting values and displays them visibly to near and far. 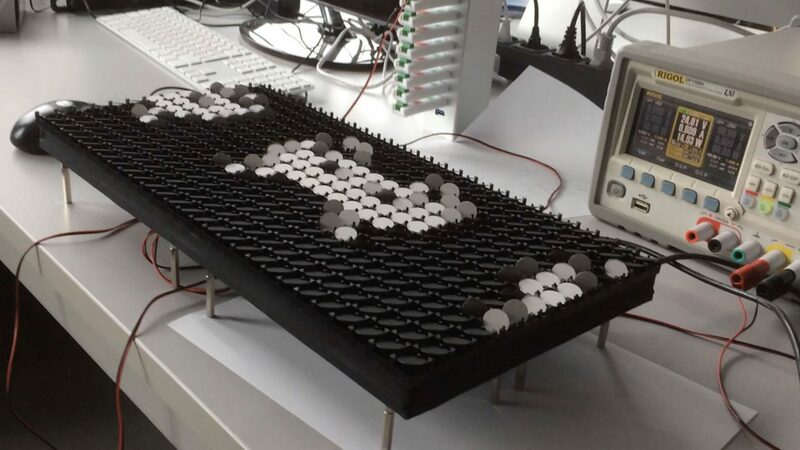 The complex interactive installation required a completely new process of development. 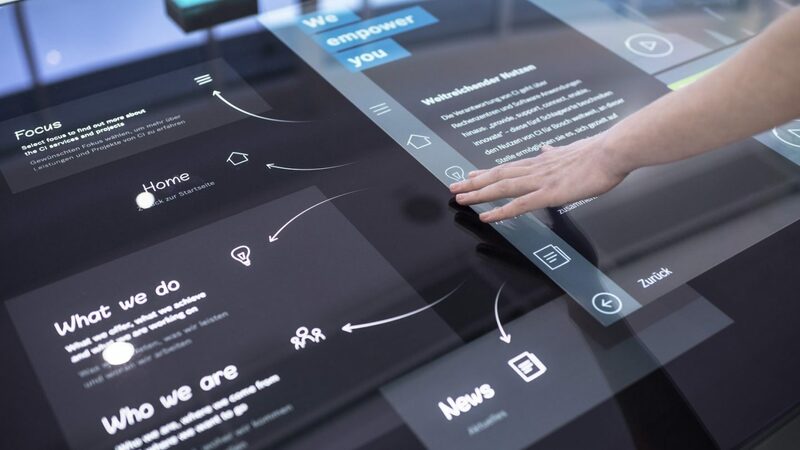 It was designed and implemented combining user experience design, digital development and technology with an agile prototyping process in just six months. 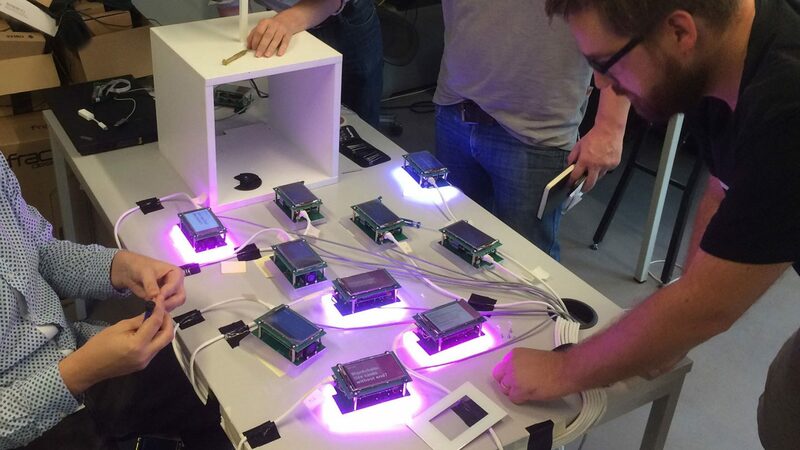 The combination of network technology, mini-computers, sensor technology, programming, LED technology, sound design and the 3d-printed housings of the bots represented a challenging task that could not have been solved in a "classic" project development. The implementation of the creative concept was carried out in close cooperation with amplify design, Stuttgart. 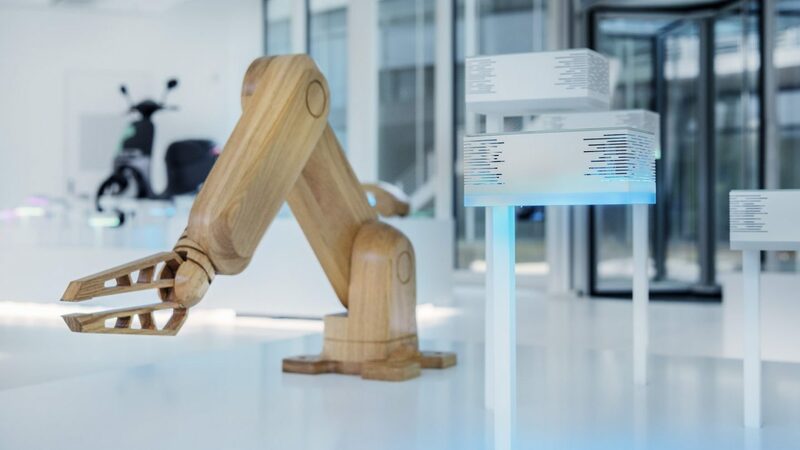 The exhibitions in the thyssenkrupp Elevator Test Tower and in the Bosch IT-Campus foyer are among this year´s winners of the world-renowned iF design label. The exhibitions were awarded in the discipline Interior Architecture. Starting the year with good news! 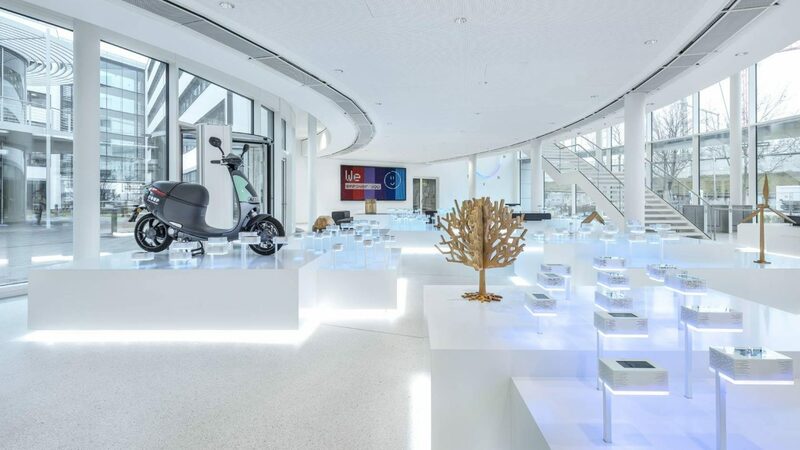 Our exhibition in the Bosch IT-Campus Foyer has been nominated for a BrandEx Award award in the Best Brand Architecture category.